Knox County, located in the heart of Ohio, is home to about 60,000 residents. This peaceful, small-town region features beautiful, rolling scenery, historical attractions, tranquil biking and walking paths and many local parks. There are several communities in Knox County, including Mount Vernon, Apple Valley, Gambier and Fredericktown. Mount Vernon is the county seat and largest city. The downtown area has undergone extensive renovation in recent years and now features many different attractions, such as the Woodward Opera House, which opened in 1851 and is currently being restored, and the Schnormeier Art Gallery operated by Mount Vernon Nazarene University. There’s also an annual Christmas parade and First Friday celebrations every year from May to October with art, shopping and activities for children. A new 250-acre green space, Ariel-Foundation Park, is scheduled for completion in 2015 and features woods, lakes, biking and walking trails and spots to hold picnics. 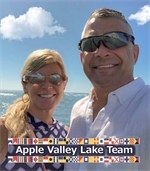 Apple Valley Lake, located near the unincorporated community of Howard just a few miles from Mount Vernon, is the center of a master-planned resort community. Residents can take their boats out onto the lake for relaxation, and, if they wish, to go fishing. The lake is the home of a diverse array of fish species, including both large- and small-mouth bass, catfish, crappie and others. The village of Gambier is fairly small, but it serves as a major intellectual center of the region. Gambier is perhaps best known as the home of Kenyon College, the oldest private college in the state of Ohio and one of the top 50 liberal arts colleges in the United States, according to U.S. News and World Report. Kenyon’s presence brings major cultural and sporting events to Knox County. The college and the village are bisected by a path known as the “Middle Path,” which takes walkers past some beautiful historical buildings. Fredericktown is another small village with lots of culture. This one-time frontier town features a museum that houses many items of historical importance from Fredericktown and the surrounding area. Also, the Fredericktown Recreation District Education and Nature Center is a 57-acre nature preserve with 2 miles of walking trails and many different animals, flowers and trees to observe. The Tomato Show and the Christmas Walk are two of the major annual events observed by residents of Fredericktown. Despite the bucolic beauty and small-town charm that can be found throughout Knox County, those who live here aren’t far from major population centers: Columbus and Cleveland are both less than two hours away by car. This makes it the perfect location for those who want to experience living in a small town without feeling too isolated from the outside world. With its rich history, its scenic beauty and its strong sense of community, Knox County is a great place to settle down and raise a family. Looking to Buy or Sell in Knox County, Call Toth & Team to get started.